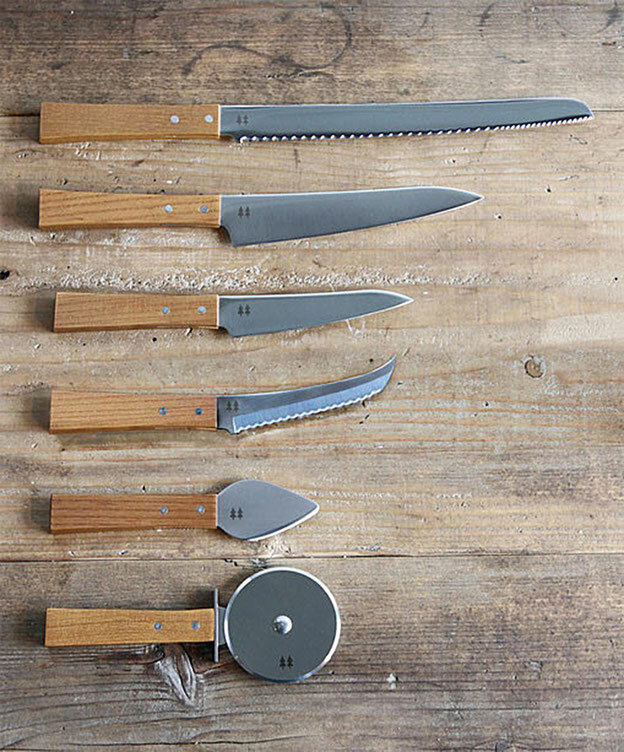 ■ The blades of the utility knife and petit knife have been carefully designed with a gentle curve and slim form. The stylish design and sharpness of the knives are perfect for women. ■ The Cheese Knife Hard and Pizza Cutter eliminate unnecessary projections and recesses as top priority has been placed on simplicity. ■ The two types of serrated edges are specifically designed for cutting bread. The idea was born from lively conversations by female staff and research. 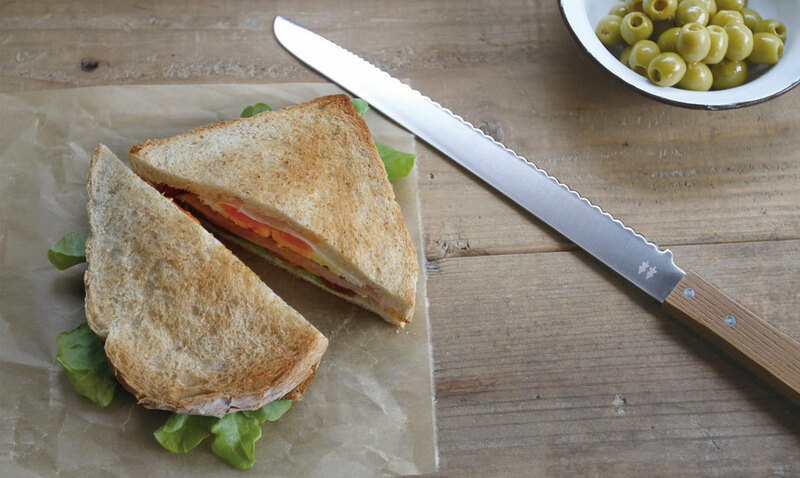 ■ The end of the blade easily cuts through hard crusts while the center part smoothly slices the bread. ■ The knife makes a very clean cut, creating beautifully thin slices and minimal crumbs. 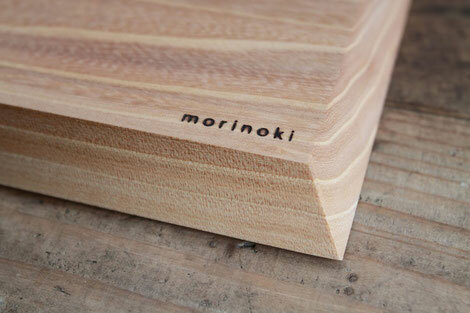 ■ The handle is made of solid Japanese zelkova. ■ A natural-looking handle has been created with the refreshing color and soft texture of wood grain. ■ The square form is gently curved for easy use in the kitchen, at the table or during a party in the garden. ■Although the surface is coated, do not keep the knife wet for long periods of time. These cutting boards are suit for set out on tables for friends and family to cut cheese, bread and fruit. The side faces are also beveled to an angle for easy gripping as a serving tray. To ensure greater safety as a kitchen tool, these cutting boards are made of unvarnished wood and coated with natural oil. It is natural wood, warping may occur, in which case you should wet the cutting board with water, lay the warped side face down on a counter, set weights on it and let it sit overnight. 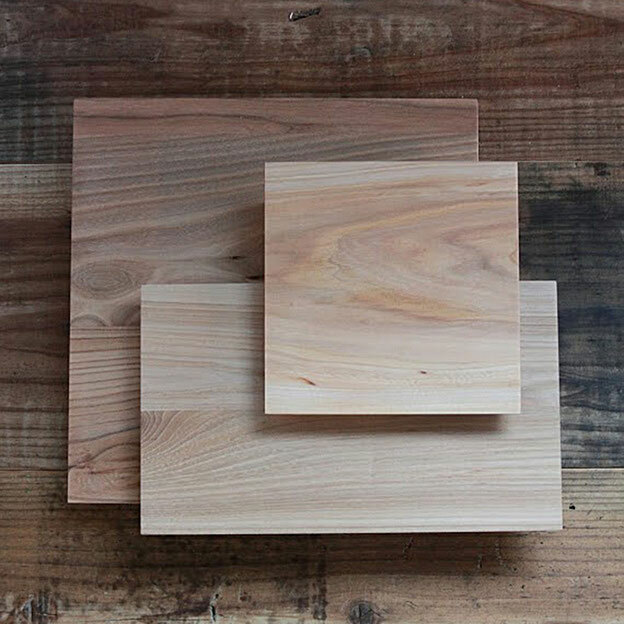 The ease with which these cutting boards can be used results from the time-honored craftsmanship that went into making them. The elm from which they are made is strong and features a beautiful grain similar to zelkova.